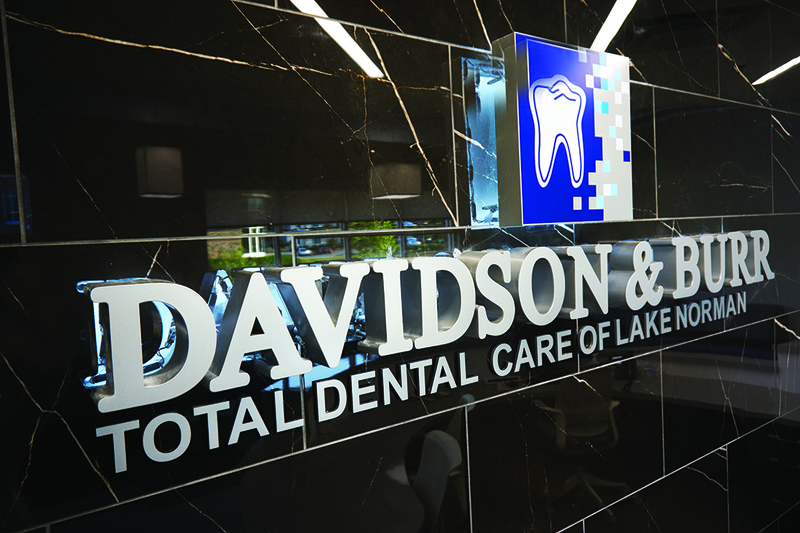 Dr. Ronnie Davidson II and Dr. Jarrett Burr are a case study in how to take a busy and highly successful general-dentistry practice and make it even busier and more successful by integrating technologies effectively. 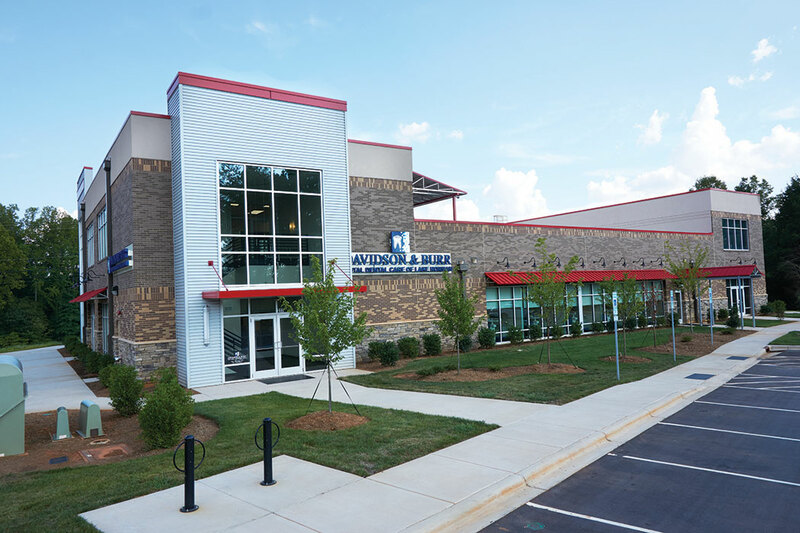 The partners of Total Dental Care of Lake Norman owned a large, high-volume office that featured 12 operatories and a 3D cone-beam imaging unit, and offered same-day dentistry, full-service orthodontics, endodontics, oral surgery, implants, and restorative procedures. If there was a technology that would enhance patient care as well as productivity, they were using it. 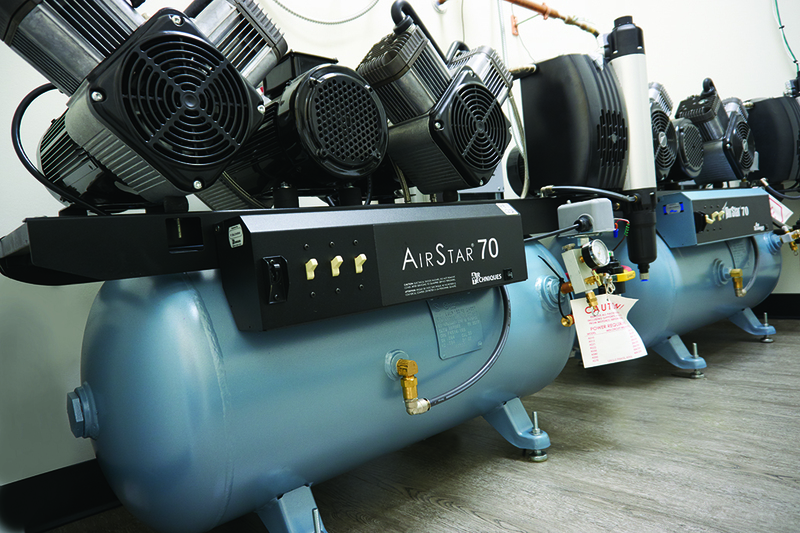 But even with such a robust investment in equipment and skill, they weren’t operating as seamlessly as they wanted to because their workflow was not fully interconnected. Dr. Davidson in 2014. 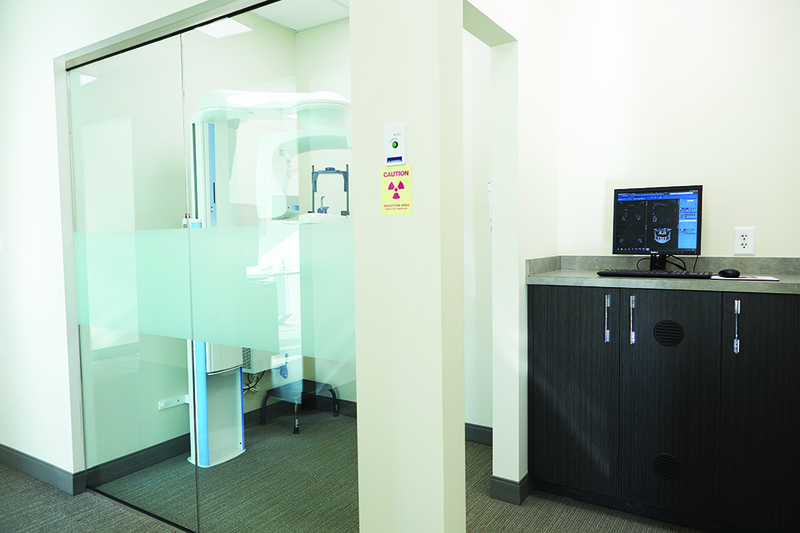 The doctors wanted to own their own building and increase their footprint so they could purchase a second 3D cone-beam unit and another CAD/CAM system as well as expand their number of operatories. 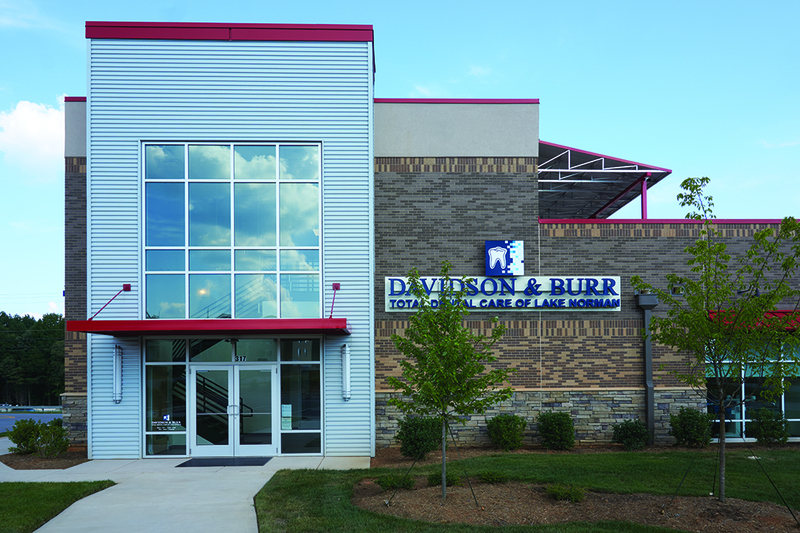 “We had a vision for something that hadn’t really been done before, and we wanted to modernize,” confirmed Dr. Burr. They found a building site in Mooresville, a growing city of 36,000 residents that is 30 miles from Charlotte, North Carolina. 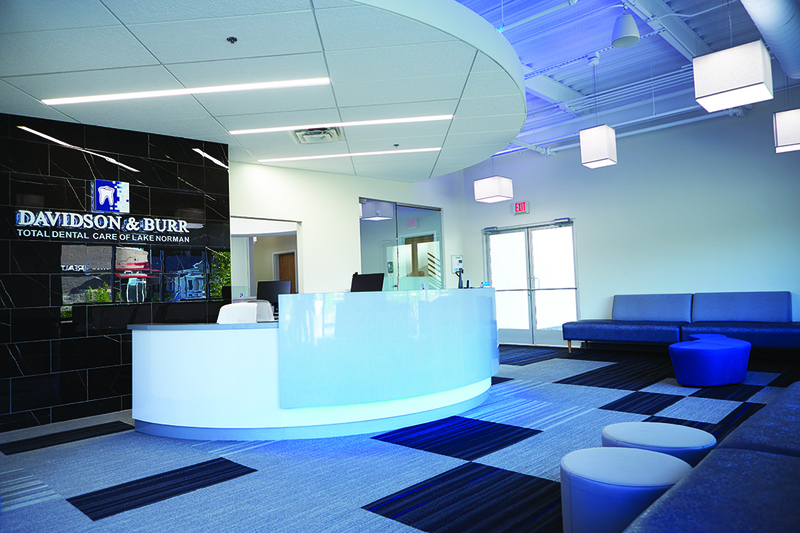 The office was built from the ground up, and Henry Schein’s Integrated Design Studio conceptualized its interior layout. 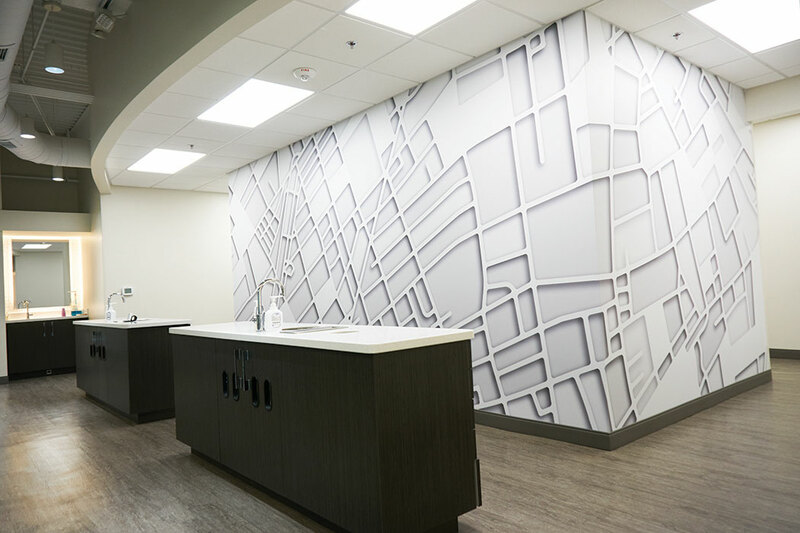 The doctors went to a seminar with their Henry Schein team that provided best practices on practice design and building efficiencies into an office. The four-chair pedo bay is set at the front of the practice and its clear glass wall allows parents to see their children receiving treatments. 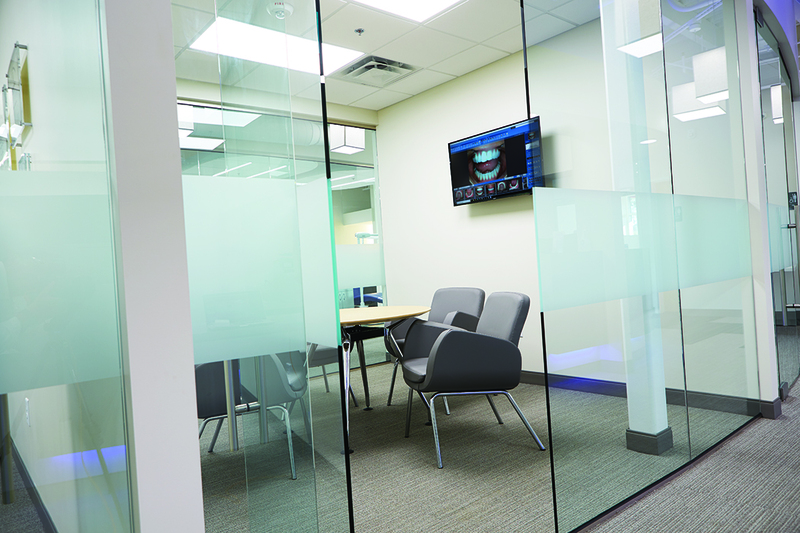 The doctors had some distinct goals for their office in addition to making it efficient and ergonomic: they wanted it streamlined, up-to-date, and universally configured from room to room. 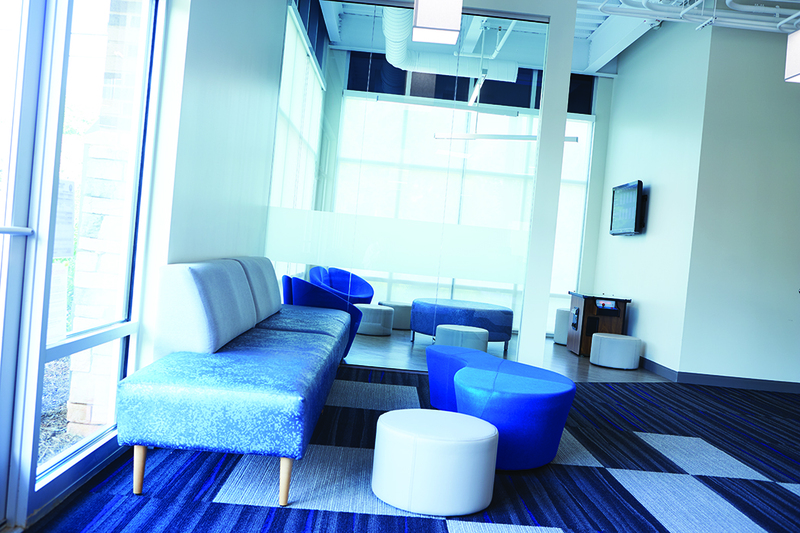 The new office is what some might cheerfully call “ginormous” at 12,500 square feet spread out over two floors. 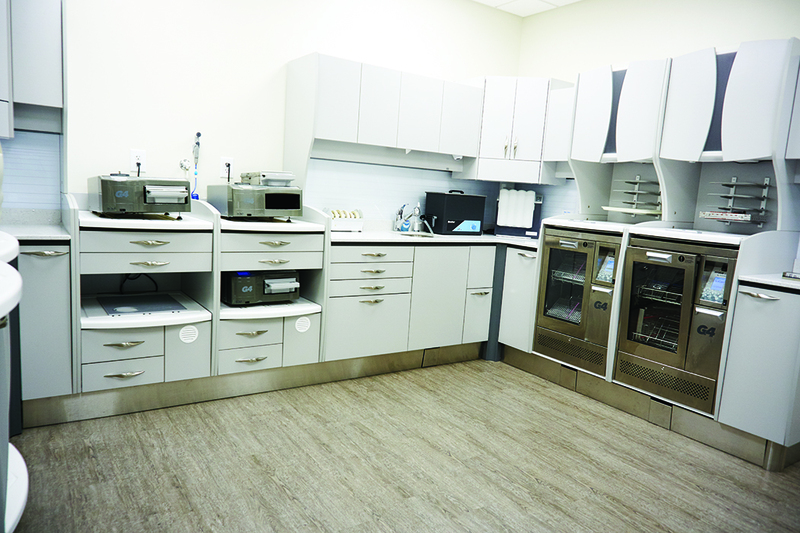 It features 20 Treatment rooms, with four of those chairs in an open Treatment bay. This family-friendly practice welcomes children and adults alike with a polished, black-marble-tile entry that leads into a spacious waiting area. A beverage station for adults and a children’s area with arcade games and toys keep everyone happy. 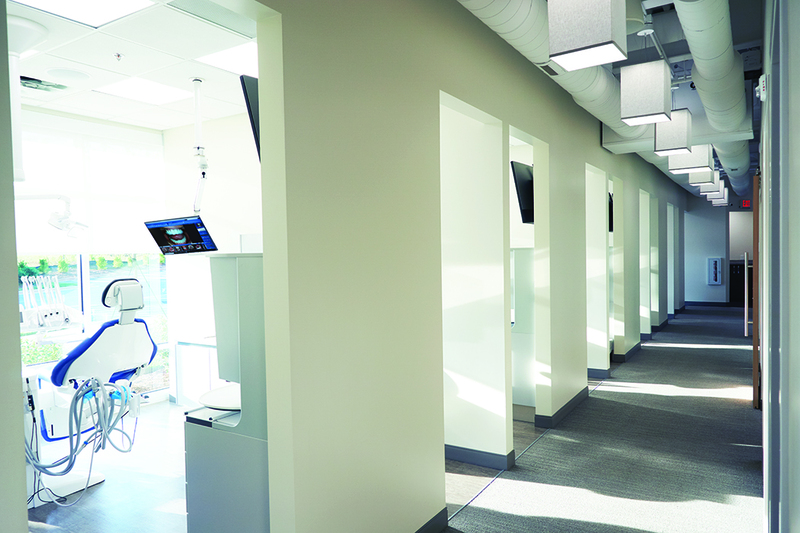 Even the doctors’ smallest patients are treated to a sophisticated pediatric area with a unique accent wall that draws their eyes to the dual brushing stations. The theme of the practice is minimalistic and elegant. Carpeted floors line the reception area and hallways and lead to gray, wood-grained linoleum floors in the operatories. 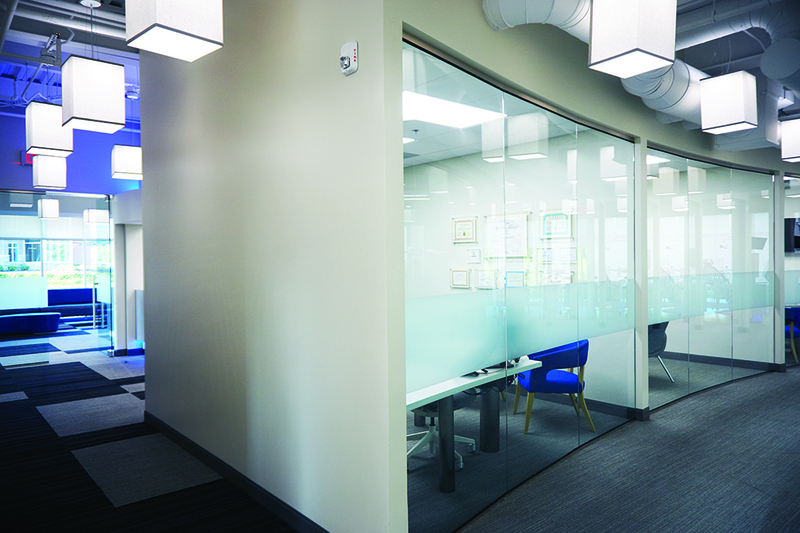 The walls are serene with little décor to offset the crisp white hue, and the open ceilings reveal exposed ductwork that lends a modern, industrial look to the office. 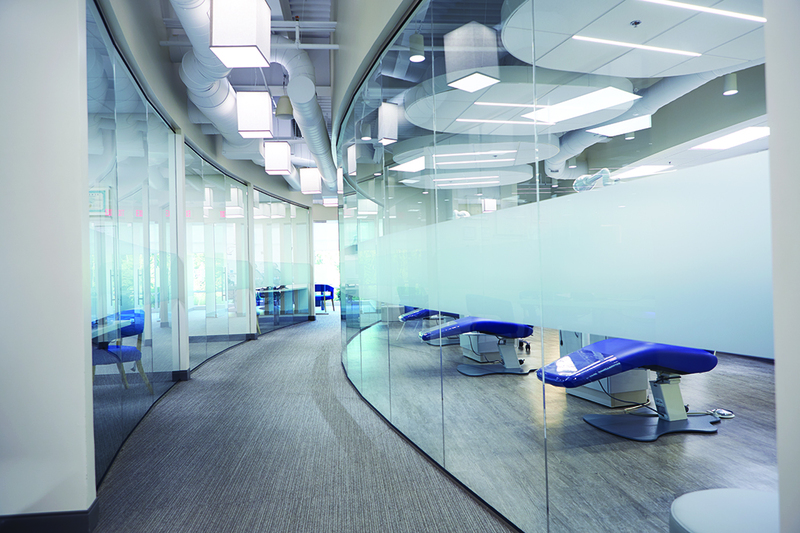 Glass walls with etched stripes are sophisticated and functional at separating functional areas from one another. 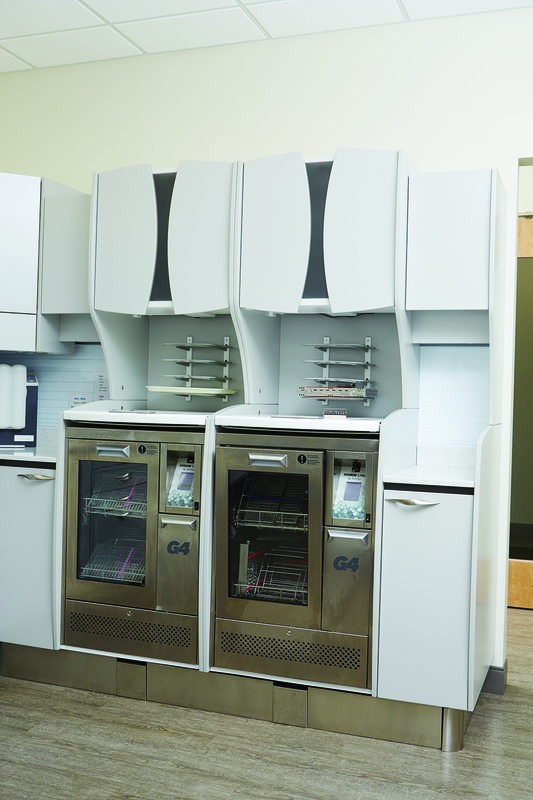 With double-digit operatories and a large number of patients coming in for anything from implants to braces to root canals, the practice is ready, filling Planmeca Triangle cabinetry with four M11 autoclaves, three SciCan STATIM’s, two SciCan Hydrim L110s, and the KaVo QUATTROcare. “Dr. 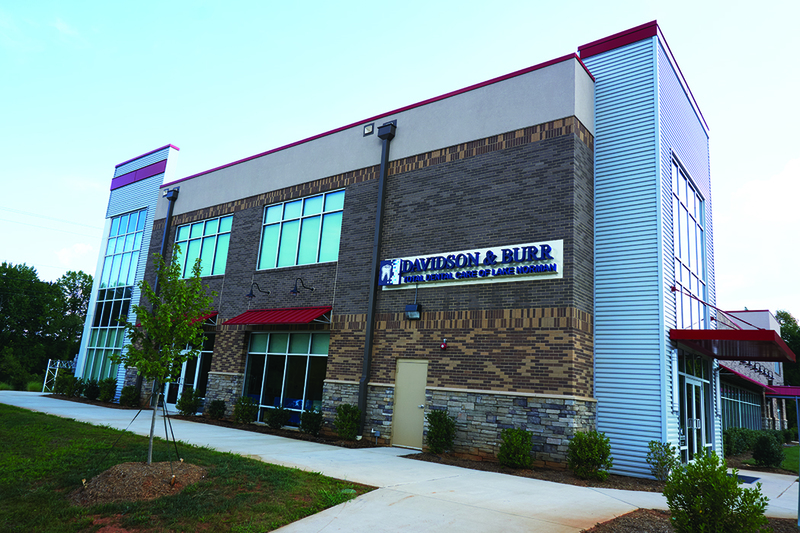 Davidson and Dr. Burr and our local sales team spent almost four years in the development of this practice,” said Mr. Barringer. 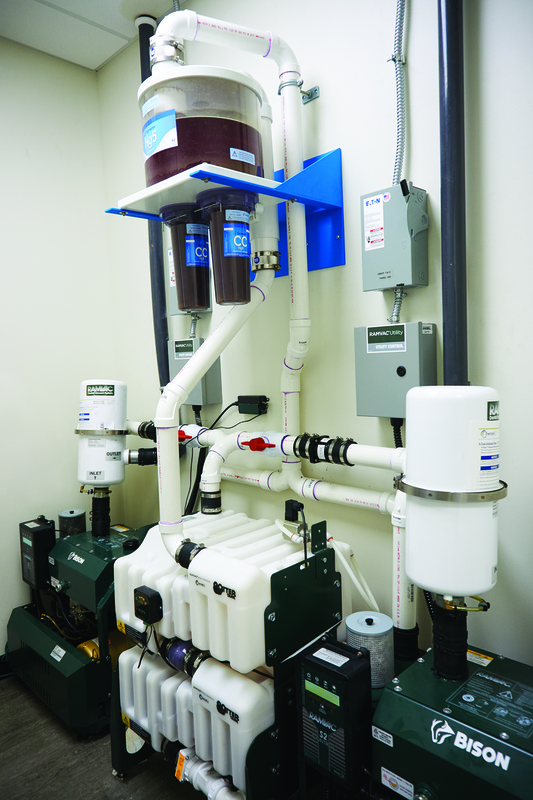 He and Field Sales Consultant Greg Echred were intimately involved in every phase of the project. They were instrumental in recruiting a team of vendor partners who could meet the doctors’ high expectations. One of those partners was Planmeca. 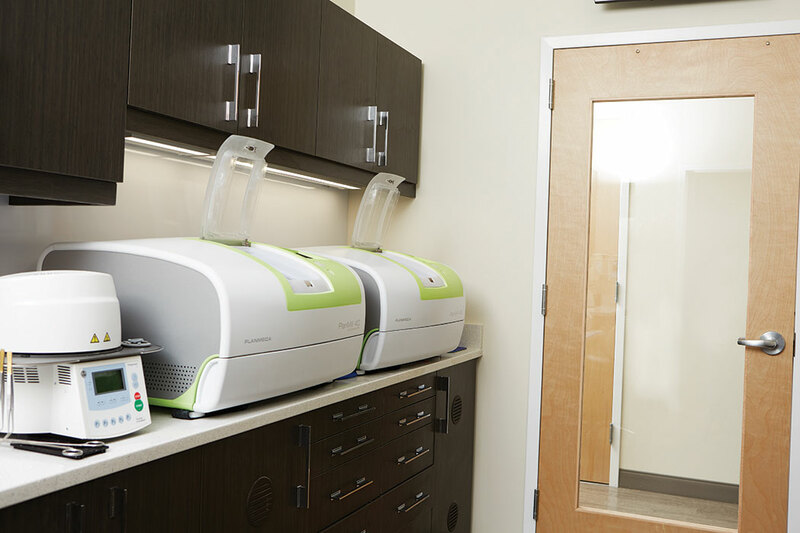 Squeezing out even greater productivity than they already achieved was made possible by integrating every piece of equipment into a single, continuous patient flow of information. That was easily achieved because everything in the practice, from the operatories to digital imaging to cone beam and CAD/CAM, comes from Planmeca. 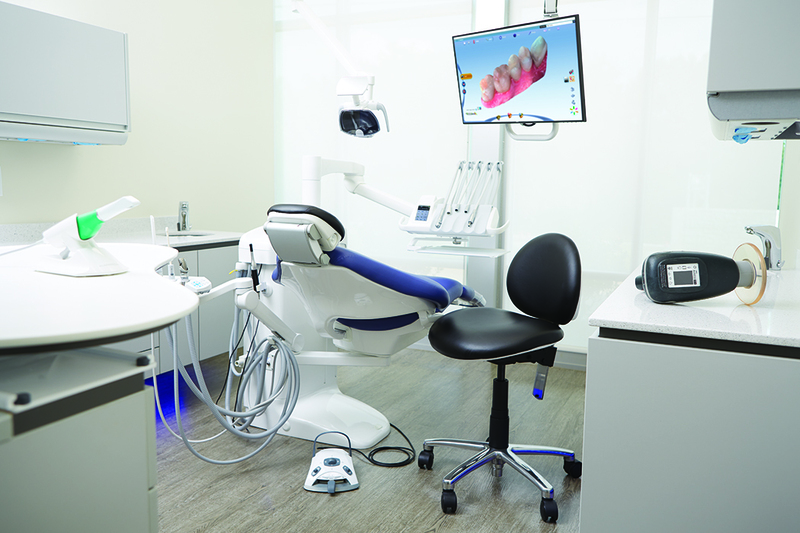 Already power users of CAD/CAM for many years, the doctors added a second PlanMill unit to the practice when they renovated to meet the growing demand for this timesaving service. 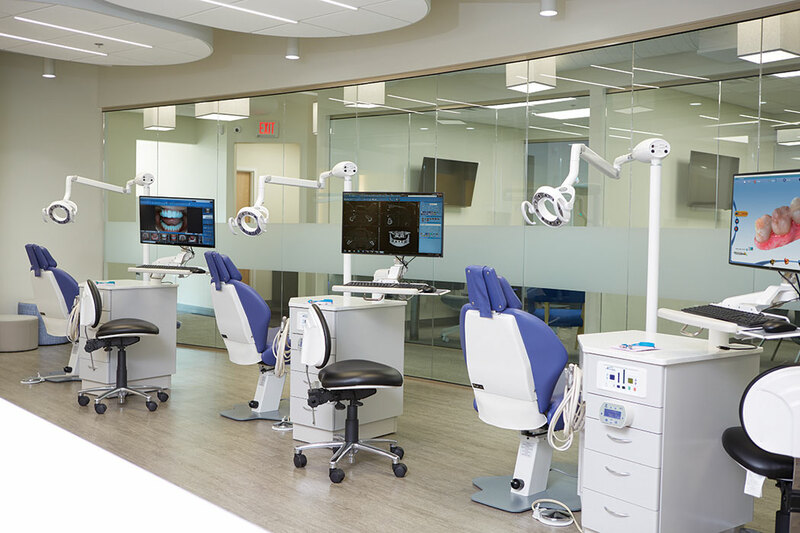 The crisp treatment rooms are outfitted with Planmeca Compact chairs and over-the-patient delivery units, LED ceiling-mount lights, and Triangle rear and side cabinets. 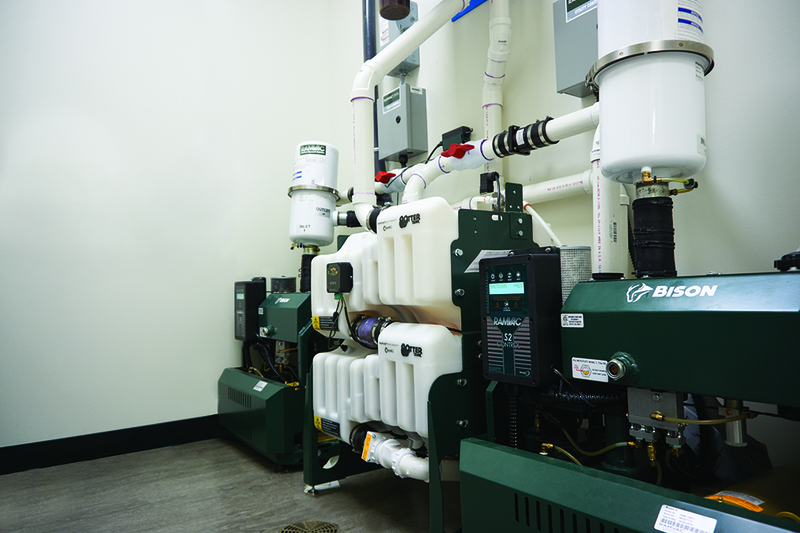 A single configuration was used for every room, and the staff can easily acclimate to any patient without shuffling instruments, adjusting positions, or looking through cabinetry for supplies. 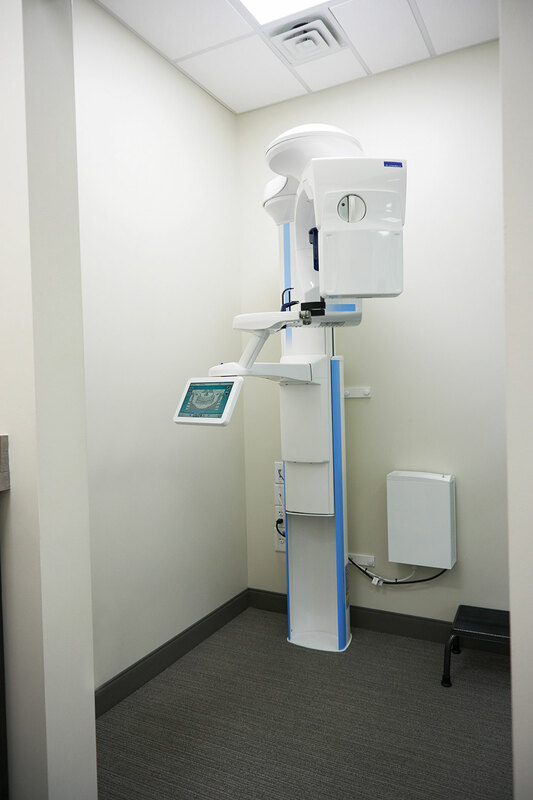 Their digital imaging is also cohesively interconnected, with Planmeca ProSensors and a second Planmeca ProMax 3D cone beam unit joining the existing one they brought over from the original office. The new unit comes with an optional ProFace module as well. Having two 3D systems, one on each side of the expansive practice, has saved time and steps for both staff and patients. 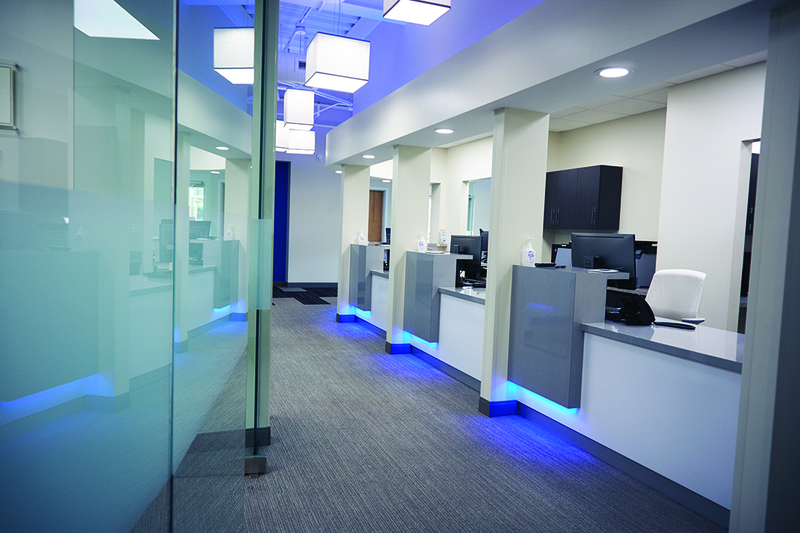 Bright and spacious, the doctors replaced a mix-and-match approach to technology by choosing a single manufacturer – Planmeca – for their operatories, digital imaging, sterilization room, and lab. With sleek looks, the equipment makes a visual statement as well as delivering excellent performance. 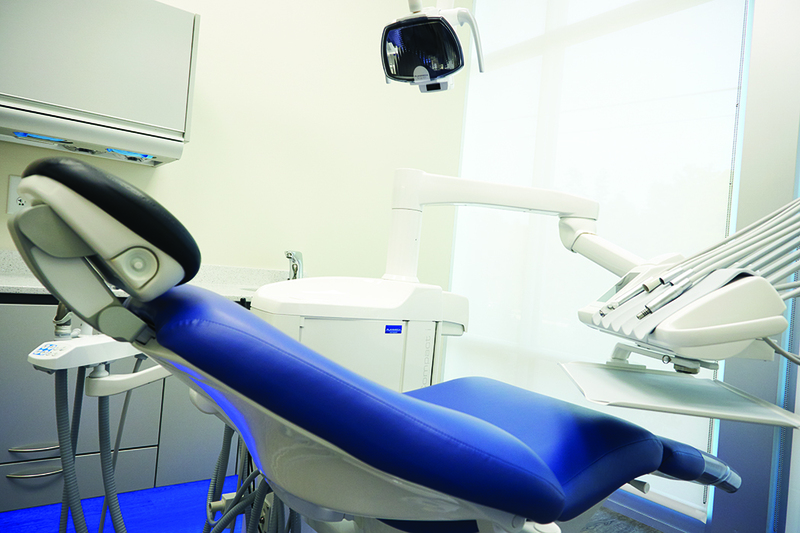 Longtime CAD/CAM users, the doctors added a second Planmeca PlanMill 40 machine, featured in the lab, with the new lightweight Emerald digital scanner to keep up with the busy demands of customers who like same-day dentistry. With such a large patient volume, keeping up with sterilization is just as important at keeping rooms turned over quickly and safely. 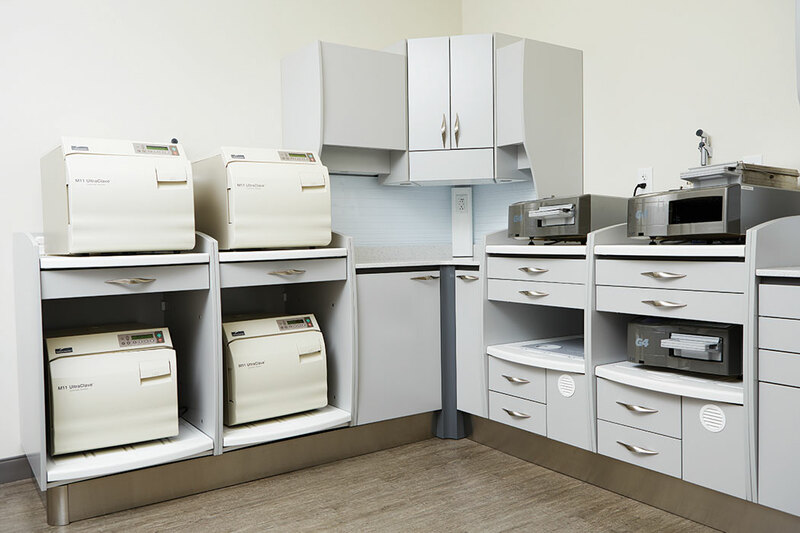 The doctors have an army of sterilization technologies working at all times: four Midmark M11 autoclaves and three SciCan Statim 5000s, two SciCan HYDRIM L110s, and the KaVo QUATTROcare, all integrated into Planmeca Triangle sterilization cabinetry! 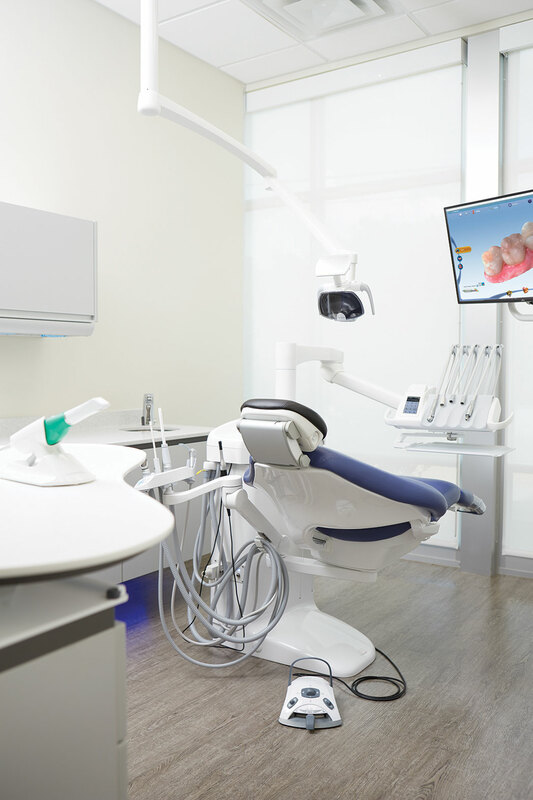 Adding a second ProMax 3D cone beam allowed the doctors to place one on either side of the practice, improving efficiency and reducing any bottlenecks from the 20 operatories. 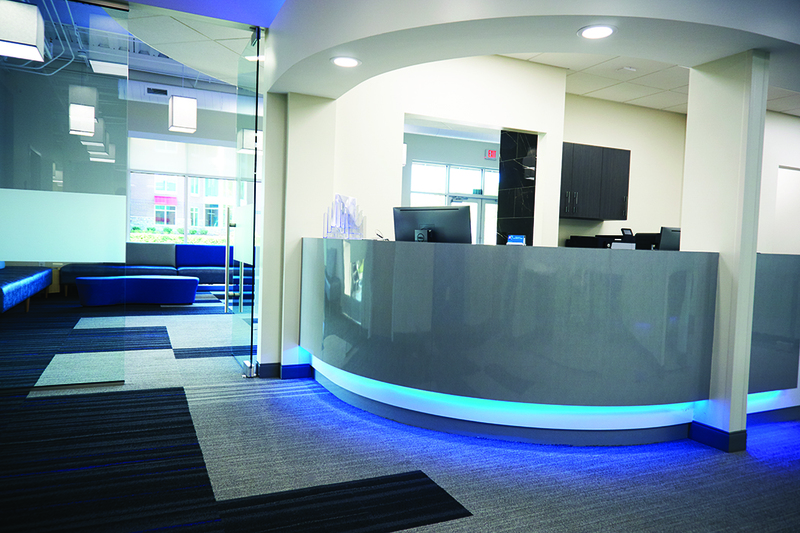 The office build was patient-focused, but the dentists also put a lot of thought into improving the work environment, carving out space for employees to enjoy down time. 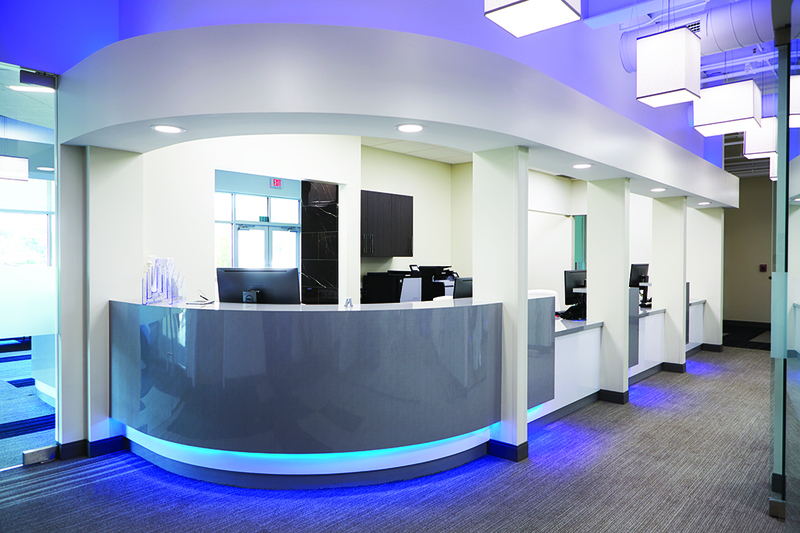 This cutting-edge, gorgeous office is attracting patients who enjoy the advanced dentistry, welcoming environment, and even the simple comfort of listening to music or watching movies while undergoing procedures. 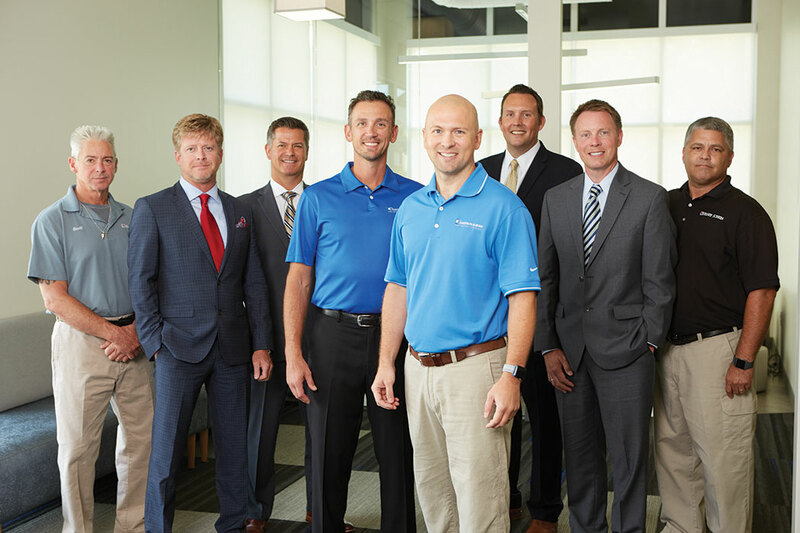 Ronnie G. Davidson II, DMD; Jarrett M. Burr, DMD; Doug Rose, Planmeca Territory Representative; Greg Echerd, Field Sales Consultant; Kim Ruiz, Equipment Service Technician.